We all know and love this beloved Midtown Village Philadelphia restaurant—it’s a go-to spot for residents of our community. But have any of us ever stopped to take a closer look at the giant wall of photo booth pictures on the way down to the restrooms? 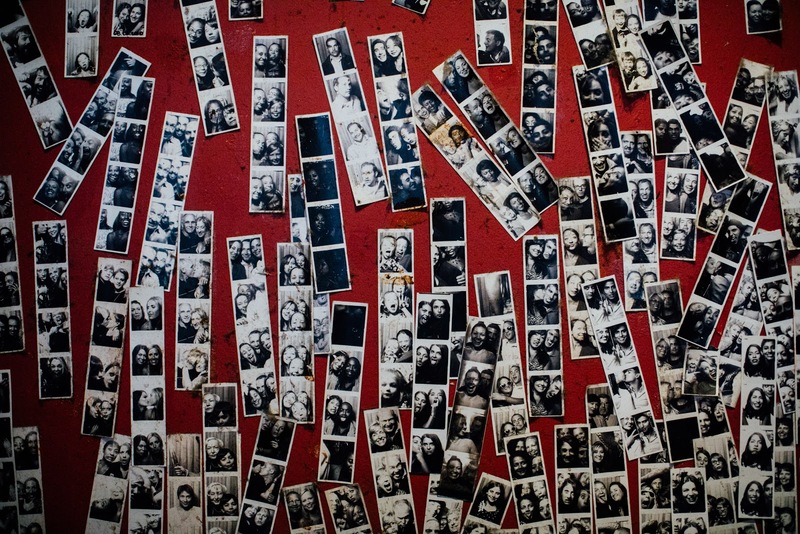 This iconic wall in El Vez stretches from the base of the staircase to the ceiling and is covered in black-and-white photo booth strips of smiling faces. But considering that the rest of the restaurant’s décor ranges from a shimmering bike hovering above the bar to plush velvet booths, it’s certainly easy to overlook this little slice of history. Since the photo booth wall could practically be a Midtown Village monument at this point, we decided it was time to get some answers, so we reached out to Tom Jackson, the iconic restaurant’s general manager. Jackson says the booth has been there since the restaurant’s opening in November 2003. Despite the photo booth not being the easiest thing to take care of, the joy that customers have making silly faces and capturing happy memories is more than worth the effort. Best friends celebrating a birthday. Though guests are free to take the photo booth pictures home with them, there’s a reason that so many photo strips adorn the restaurant’s towering “Red Wall,” as Jackson calls it. After all, why wouldn’t you want to share your perfect poses and faces to the world? “We have accumulated images dating as far back as nine years,” Jackson says. With a history as long as that, there’s bound to be some fond memories involving the photo booth that come to mind. Between first dates, birthdays and wedding anniversaries, El Vez’s photo booth wall captures it all. It just makes sense that there’s a fun and eclectic neighborhood monument inside the restaurant to match the beautiful food and boisterous energy. El Vez is a staple in Midtown Village, so it’s a good thing 1213 Walnut residents only have to walk around the corner when they’re craving Mexican food and a memorable time. Book a tour of 1213 Walnut today, and then start planning your move over a tasty meal at El Vez. Don’t forget to commemorate the big day with a trip to the photo booth!